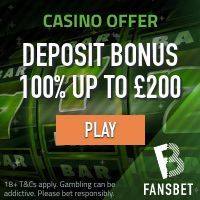 No Bonus Casino is a fresh breeze in the online casino industry, having a completely unique and impressive approach of not offering any bonuses in terms of the standard deposit match bonuses and free spins. Instead, No Bonus Casino always give a cashback of 10% to their members; real cash that can be withdrawn or played – no wagering requirements needed. No Bonus Casino was launched in 2013 and use a game platform powered by several hundreds of the best games produced by NetEnt, Amatic, Yggdrasil, Microgaming and Evolution Gaming. The larger part of the game portfolio is video slots but there is also a good collection of video poker games, table/card games, progressive jackpot slots and live dealer games. In short, No Bonus Casino offer a top-quality online casino product that suits any type casino player. The website is fully supported on all digital devices and operating systems. The functionality and design is very user-friendly and the colour scheme gives the website a fresh and cool look. The game lobby is filtered by game types, new games and favourite games. There’s also a search function where you simply enter the title of the game yo wish to play. No Bonus Casino is available in English, Finnish, German and Norwegian. The customer support is open between 08:00 – 01:00 CET every day. They support desk can be reached by using the live chat function, e-mail or telephone (+356 2034 1660). The live chat window is located in the bottom right corner of the website and is easily accessible even during game play. The support team has a very good reputation of being fast, accurate and very friendly. No Bonus Casino is owned and operated by L&L Europe Limited. They are licensed by the UK Gambling Commission and the Malta Gaming Authority. No Bonus Casino meets the highest standards of player safety, fairness and responsible gaming polices. No Bonus Casino: Always Receive 10% Cashback! 1. Register a player account with No Bonus Casino! 2. Deposit funds to your account! 3. Play your favourite games! 4. If you loose, your 10% cashback will be available in your account the following morning between 10:00 – 12:00 CET. 5. Withdraw or play with your cash – no wagering requirements needs to be met! Click here and join No Bonus Casino and ALWAYS get 10% Cashback! – Cashback offers are available to all registered players at No Bonus Casino. – Cashback is calculated on all deposits happening between 00:00 – 23:59 CET of any day, given that all deposited money has been lost. – Depositing players’ balances will be checked the next morning between 10:00 – 12:00 CET and players need to have a balance of not more than €10 in order to qualify for cashback. – The cashback offer is valid for ten (10) days, during which the cashback has to be withdrawn or played with. – Cashback refunds are rounded to the nearest Euro. No Bonus Casino accepts all major payment methods including credit/debit cards, direct bank transfers, e-wallets and several regional instant banking solutions such as Klarna, Zimpler, GiroPay, Trustly and many more. All transactions and stored information is protected and secured by the most advanced encryption technology. No Bonus Casino guarantee 100% safe, secure and fraud free money transfers. No Bonus Casino house a large collection of online video slots provided by the market-leading game producers including NetEnt, Microgaming, Amatic and Yggdrasil. This combination of gaming providers ensure that you will be able to enjoy the excitement of some of the most popular video slots on the planet. The most popular video slots at No Bonus Casino are Raging Rhino, Starburst, Jungle Spirit, Gonzo’s Quest, Book of Aztec and Extra Chilli.